Vincent Barrett is a third generation dentist who qualified from Guy's Hospital London in 1979. After four years post graduate studies in the United States he received a masters degree in the specialty of Prosthodontics and was involved in the management of head and neck cancer patients at the world renowned MD Anderson Hospital, Houston. From 1985 he lectured at Guy's and Kings College Dental School while working with Professor Harold Preiskel in London's West End. In 1990 Vincent Barrett was invited by Dr John McLean OBE, the internationally renowned clinician, lecturer and innovator, to take over care and treatment of his patients. Vincent Barrett has developed his current practice and his career having contributed to scientific papers as well as co-authoring a dental textbook. 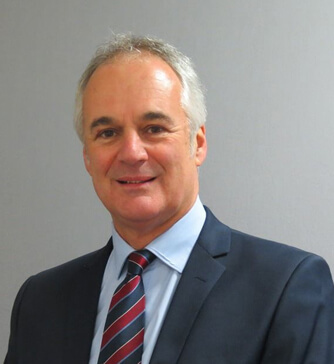 To keep up to date with techniques and developments in dentistry, Vincent Barrett regularly attends lectures and is a member of the British Dental Association, American College of Prosthodontics, The International College of Dentists. He has been past president of the American Dental Society of London and The American Dental Society of Europe. He also holds an Honorary Consultant post at the King Edward VII Hospital, Sister Agnes. Vincent Barrett is recognised by the British General Dental Council and American Dental Association as a Specialist Prosthodontist.